Do you live in an apartment and have plants on your balcony? Do you water them by hauling water across your apartment? Don't you wish you could have a water source already on the balcony ready to use? We think most apartment dwellers would answer "yes" to these questions. We also think these folks would love to make rainwater their balcony water source, if only there was a way to collect it in decent amounts. The solution: a RainSaucer™ of course. Yes, that's right we are developing a RainSaucers system just for balconies! 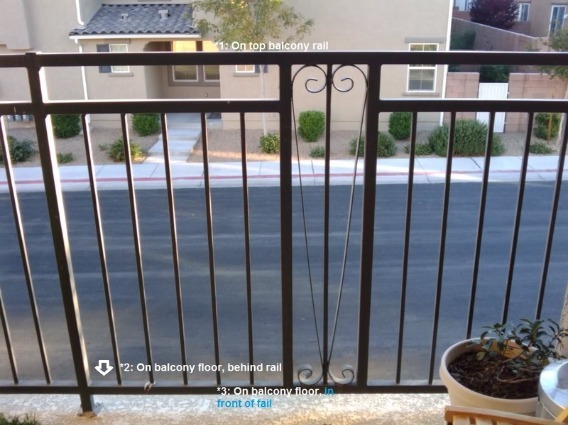 With this information we can determine whether rainfall on the balcony rail is significant enough to collect and water plants on the balcony. Won't you help us? Please use our contact page to volunteer.